Giancarlo Stanton’s impressions of the postseason had previously been formulated by secondhand accounts. All of the distinct sights and sounds associated with October baseball were purely a foreign concept, since eight consecutive losing seasons with the Miami Marlins kept him from reaching the stage he was destined to perform on. But Stanton, the National League’s reigning MVP, took it upon himself to escape from further mediocrity. Last winter, just three years after signing a massive 13-year, $325 million deal, Stanton requested a trade to a playoff contender. And by a simple twist of fate, he landed in the Yankees’ lap. His vision of a championship run shifted from far-fetched to attainable. So it came as no surprise that Stanton wasted no time to announce his postseason presence on Wednesday night. This was a moment that had been 1,144 career games in the making. In the Yankees’ 7-2 win over the Oakland Athletics in the American League Wild Card game in the Bronx, Stanton finished 1-for-3 with a walk, two runs, and a stolen base. And his lone hit was no ordinary one. Leading off in the eighth inning, Stanton clobbered a 1-2 slider thrown by Blake Treinen, which traveled a whopping 443 feet and sailed well over the left field foul pole for a jaw-dropping solo home run. At 117-mph off the bat, Stanton’s mammoth shot broke the Statcast record for the hardest hit ball in the postseason. Naturally, the record was previously held by Stanton’s teammate, Aaron Judge, who drilled a 116-mph two-run homer to the left field bleachers during the first inning. 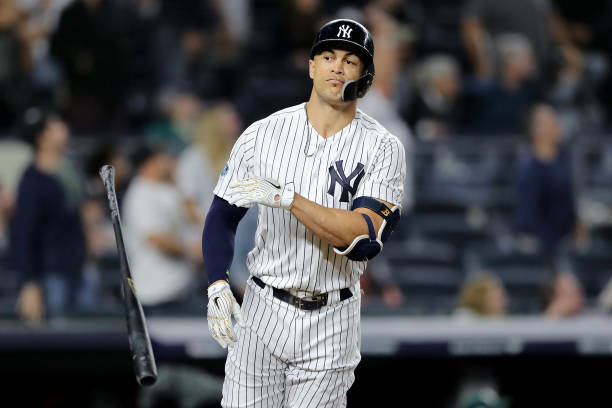 Although Stanton endured a series of downturns during his first season in pinstripes, he ultimately overcame New York’s growing pains, and silenced his harsh critics. For all the boos Stanton heard, he managed to win over the home crowd during the summer months, while Judge was sidelined with a fractured wrist. By the time the Yankees reached 100 regular season wins for the first time since 2009, Stanton had a team-high 38 homers and 100 RBI. In other words, vindication of the Yankees’ blockbuster acquisition. “We’ve seen, I think, [Giancarlo’s] at-bat quality over the last week ten days really tick up, too,” Yankees’ manager Aaron Boone told reporters on Thursday. “He’s been taking his walks, having better consistent at-bats, and then to really clear one last night. You know, I think what’s been so impressive about G is just his focus and his intent and his purpose from the day he showed up in Spring Training, about kind of the mission he’s on and just kind of — his professionalism and his focus day in and day out no matter what the result was of that day has been really, really something that’s been admirable the way he’s gone about his business and the kind of teammate he’s been. If the Yankees want to survive a best-of-five ALDS against their archrival Boston Red Sox, Stanton will surely have to maintain his power stroke. In nine games at Fenway Park this season, Stanton has slashed .486/.487/.811 with two home runs, four doubles, and nine RBI in 37 at-bats. Add another three homers, two doubles, and eight RBI in 33 at-bats against the Red Sox in the Bronx. When Stanton’s moonshot landed, a raucous and boisterous Yankee Stadium crowd chanted “We Want Boston” in between the ovation. So, never again will Stanton have to wonder what thrilling postseason baseball truly feels like. But now that the novelty factor has worn off, the pressure is on him to slug under brighter lights. His season will be defined by it. The Yankees and Red Sox will play Game 1 of the ALDS on Friday night in Boston, with first pitch scheduled for 7:32 p.m. 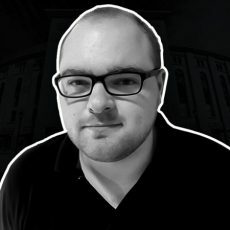 If you want to connect with Tom Hanslin, email him at [email protected] or follow him on Twitter @tomhanslin.